Oh man, Justin Tucker pulled a John Carney. 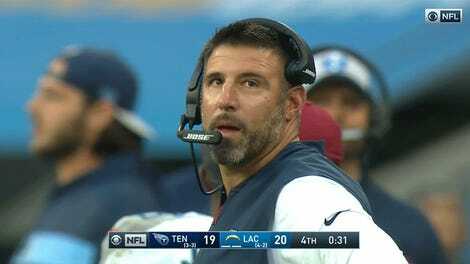 He pulled a damn John Carney against the team that had experienced a John Carney! Down 24-17 to the Saints in today’s game, the Ravens put together a successful two-minute drill that resulted in a Joe Flacco touchdown throw to John Brown with 0:24 remaining. Baltimore would be headed to overtime, pending the PAT. Ah, about that. Tucker had never missed an extra point in his career. Ever. Ever! He was 222-for-222. He’s a really good kicker! So, naturally he shanked one right when it meant the difference. Poor guy. Tucker was in disbelief. 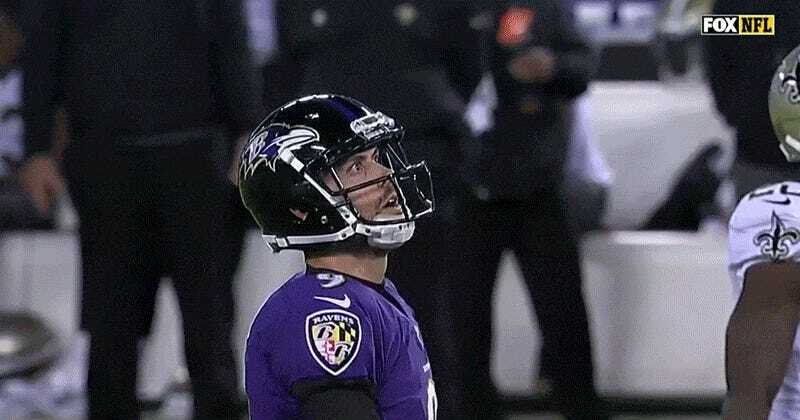 Flacco was—uh, I think stunned? He usually looks like that, anyway. New Orleans won, 24-23.